Click for larger image. (Sgt.) 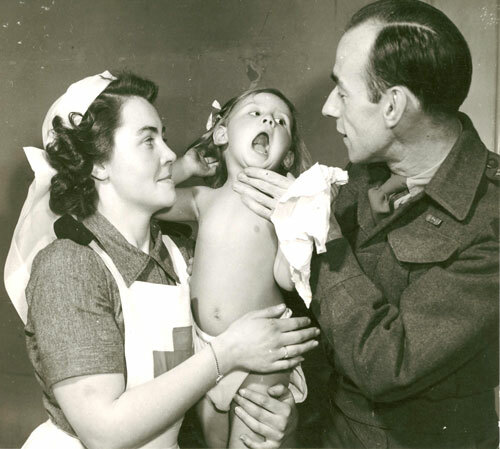 KM Hermiston of the CWAC Film and Photo Unit took this picture of child being examined by a doctor and Red Cross Nurse on February 5, 1946. Click for larger image. Canadian servicemen in Italy. One good thing about the Canadian Department of National Defense: they kept excellent statistical records of the Canadian War Brides! 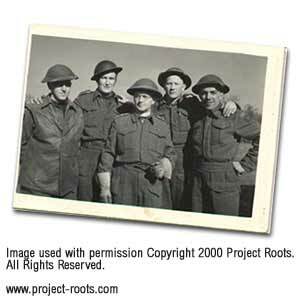 There are many reliable sources for various aspects of the war brides phenomenon, from marriages and births to transportation, arrivals, and follow-ups by the Canadian Red Cross and the Immigration Branch of the Department of Mines and Resources. Many of these sources can be found in the National Archives in Ottawa. What follows is a list of the available statistics culled from various primary resource materials over years of research. Marriages and Births until December 31, 1946 and on the same page, Marriages and Births by Branch of the Service, Army, Navy, Airforce until December 31, 1946 .